A quick rambly post today because I don’t really have the time to blog, but I just feel sad and insanely anxious. I feel bad because it’s December and everyone is uploading happy, positive, Blogmas posts, and here I am about to put a downer on it all, but I need it out of my system. I began this blog last year because I felt lonely, but I also needed distraction from my OCD. This little place of mine on the internet was where I would go to relieve my stress – writing really has the ability to heal the mind and lift any weight off of your shoulders. Kind of like talking to someone and just letting everything out, except it feels easier, and okay to cry whilst you are tucked up in bed writing away, people cannot see you. 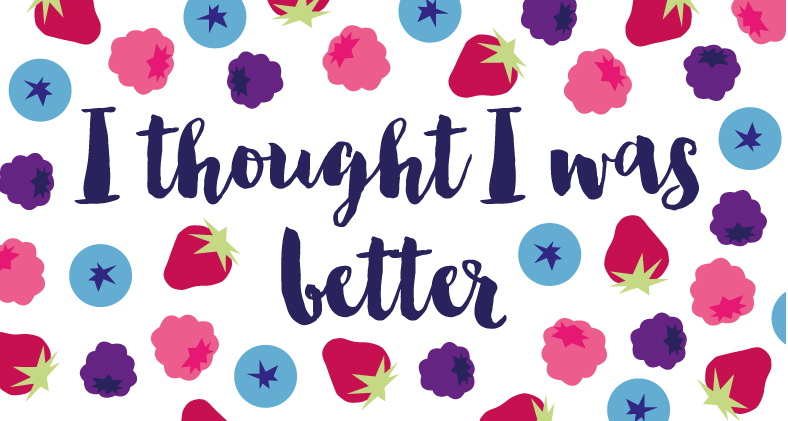 I’d been seeing great improvements in my symptoms, spending less time worrying about contamination in the kitchen, less time generally spent on hand washing, checking things less, basically all of the things that were really really bad last year. I still spend longer than the average person, and I still have my really really terrible days, but I’d seen, and felt an improvement and that felt really great. But. Those symptoms have only been replaced with some new ones, lucky me huh? Ones that are spiraling out of control, and ones that I’m currently struggling to manage at all really. I’m completely and utterly obsessed with having ‘a productive day’ and if I don’t have one, I. hate. myself. and my mind tells me all sorts of horrible things, and then it comes to the next day and I just can’t concentrate, thus making it another unproductive day. OCD really is a condition that takes up a lot of time, and energy. Lists are another one. I can’t stop writing them. And I know lots of people write lists, but when your whole world is fixated on and around these certain lists, it is very hard to get anything done. The realisation that I am not getting better is a tough one to digest. It makes me feel incredibly weak, but it is probably a good thing, because it means I can try and do something about it. My first big deadline is in 5 / 6 days, and I have a lot to do this week, maybe impossible amounts. I’ve kindly been offered an extension just in case, but my bully of a mind is telling me I don’t deserve it, so I am feeling rather lost right now. People often say I am really brave for writing these posts, and I guess I am. But at the same time, I just want to scream and shout about what it is like to actually live with OCD, compared to what the media says about it. It is so much more than what people say, and I want people to know. Thanks for reading my ramble lovelies, I would appreciate any love, support, and positive vibes sent my way. Sometimes I feel that your comments are the only thing that make me carry on. I’m sorry if my content isn’t what you originally came to Very Berry Cosmo for, but all my posts are coming from the heart at the moment. I will be back soon, you might just need to bear with me for a little bit more. I'm so sorry to hear that you're not feeling great at the minute 🙁 I completely understand how you feel though, I have depression and anxiety and I thought I'd got better but in the last couple of months it seems to have come back even worse and I literally have no idea what to do 🙁 I'm trying to take control of it and get myself back on track but it's easier said than done. You need to realise that recognising and highlighting the symptoms as problematic IS getting better. It's a long process, perhaps one you'll never see a magical sparkly light at the end of the tunnel for, but that recognition alone signifies how far you've come so focus on that. I'm sorry you're having a bad time. Just know, you CAN do this. Repeat that to yourself gurl because I promise you that you can. Even focusing on overcoming hurdles one day at a time all goes towards that penultimate goal which I definitely think you'll reach. Hey Kayleigh – I'm new to your blog and I'm fairly ignorant to the facts and myths about OCD, so I'm just going to say that things will get better and I'm sending you all the good vibes in the world for this to happen in the time you want it to. Ohhh girl this post made me so emosh, but I'm glad you've shared it cause hopefully it's made you feel better after writing your thoughts down. I feel a bit the same too because my anxiety got better over the summer and now it's gone back to being really bad, I feel like a total failure – but we need to remember it's ok to have down days and we all have each other!! Your blog will always be here waiting for you, I took a break this time last year and it really helped to clear my head and made me feel a little bit in control on everything. If you ever need to talk I'm always here, and don't forget it's perfectly normal to have a rubbish day. You're not a failure in anyway! These posts are so great, never be sorry to write about these things – especially if that's what you started your blog for! I totally get where you're coming from, I get pretty bummed out when I don't feel like I'm very productive, especially when there's deadlines and exams coming up (like currently) and so there's important stuff I need to be doing but really don't have the motivation to do! But that just makes you a normal person, everyone has unproductive days or times when they lack motivation and that's ok you shouldn't have to be productive all the time. I also get that your OCD is stressing you out. I don't suffer OCD but I have another mental health condition that seriously gets me down and makes me feel totally worthless and powerless – especially in the set backs when you thought you were making progress and it feels as if you're back where you started (or even further back!). What I'm trying to say amongst my mini ramble, is that you're not alone and these feelings don't make you a bad person or a failure. It's completely natural and these feelings won't last, just stay positive! I know how you feel to some extent… I wrote a blog post a few weeks ago that was sort of similar. I'm only in my first year of uni, but even I'm finding it all too much… I feel bad for complaining because I still live at home so I guess it's a bit easier but I just wasn't ready for the massive change. All the work and stress kept pilling up and it was making me unhappy, to the point that I didn't even want to blog anymore (which was crazy to me, as that was the thing that motivated me to keep going). I think when I felt that way, I quickly realised that something wasn't right and I needed to change something or take a break in order for me to get my life 'back on track'. So what you need is a good break! Don't feel bad for it. You blog and your readers (inc. me 😉 ) will always be here for you, whether you decide to upload or not. Take things one step at a time and focus on your health more then your blog. Your blog can wait! And never be sorry for writing these posts – they probably have a greater impact on your readers than you think because I, for example, can totally relate to this. I suffer from anxiety really badly and it makes me worry about all kinds of things and also makes me want to write thousands of lists to make sure I get everything done in time. Stay positive love x And take a break at some point, risking your health is definitely not worth it! It makes me so angry when the media / films / TV make OCD out to be a funny quirk where you like stuff being neat. It's so much more than that. Take the extension if you need it. You DO deserve it. I know there's a voice telling you that you don't, but you absolutely do. I can empathise with you. I've had some deadlines recently and I've noticed my anxiety increasing. I was so glad to see the back of last week. If you want someone to ramble to, I'm here for you. Kayleigh, never ever feel that you are weak. You are an incredible strong person, one of the strongest I know and I have so so much love you and I wish I could just come and give you a huge hug and go and have a hot chocolate in hotel chocolat and laugh like we always do when I see you! Best of luck with your deadlines honey, and I really hope I can see you soon! Hey, this is the first time I've stumbled across your blog and just wanted to drop you a quick comment to send you some happy thoughts. I don't know much at all about OCD but from what you have described in your post it sounds mentally exhausting. I think it's good that you can recognise the issues and speak honestly and openly about them – perhaps in a way that does mean you're improving? Hope you feel better or like things are improving soon. Kayleigh, I'm reading this post late, but I still want to send you good vibes! I don't know if it helps, but you could try to think that some things happen although we don't deserve them, so you can try to accept the extension of deadlines.